Save $120.00 and more on your house cleaning! My Chores Are Yours & Co.
Save $$$ on house cleaning! 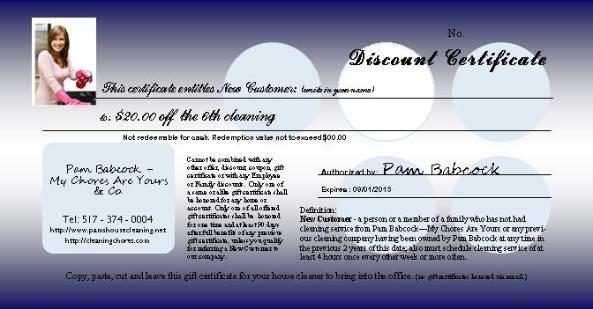 BELOW: Entitles a New Customer to $20.00 off the 6th cleaning. 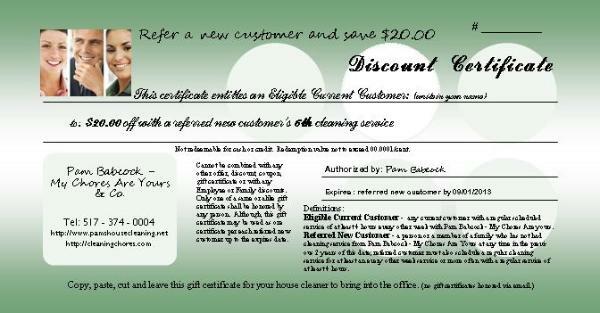 Above: Entitles a current customer $20.00 off for a referral new customer's 6th cleaning. 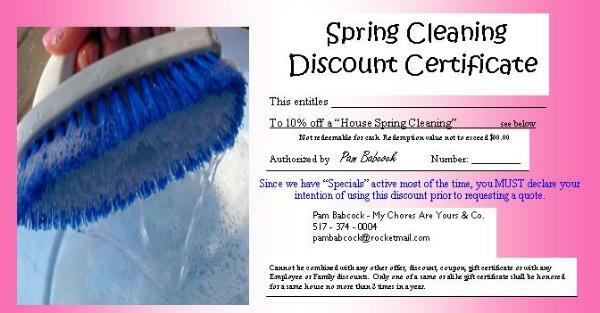 Above: Spring Cleaning Gift Certificate entitles 10% off from the Charge of any Qualified house Spring Cleaning. Since we have "SPECIALS" active most of the time, you must declare your intention of using this discount prior to a qoute.